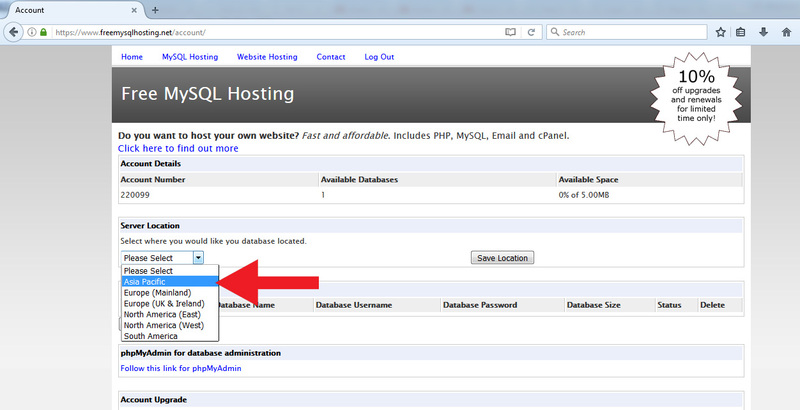 This tutorial shows step by step process for having remote MySql database which can be used in Websites free of Cost. 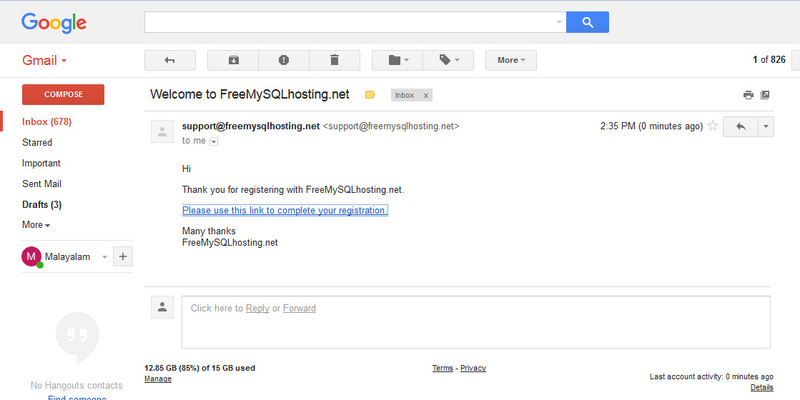 For this simply register in website https://www.freemysqlhosting.net/. We are using service from this website to take remote database online. After Registration you will get confirmation mail to reset your password. After Completing the registration, Login to your account. Select your location and Complete the registration. 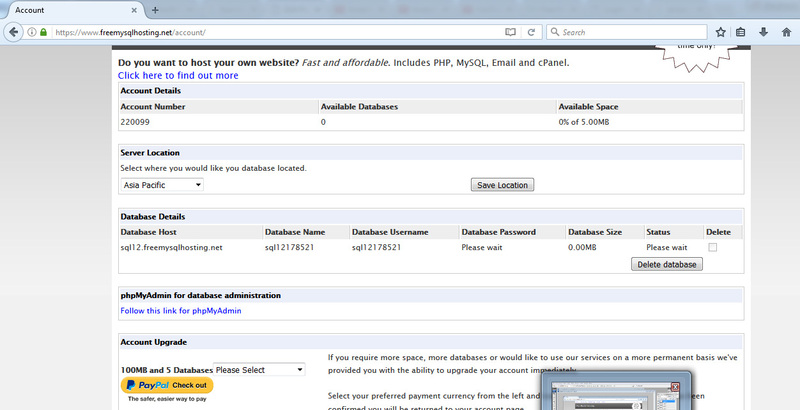 Complete your Account set up by selecting any database location. 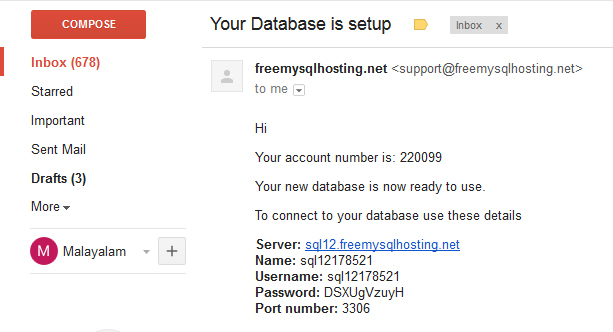 After some time you will get an email with Complete database information in mail. C:\Users\MIRITPC>cd "C:\Program Files (x86)\MySQL\MySQL Server 5.0\bin"
If you have any doubt in this please comment Below.